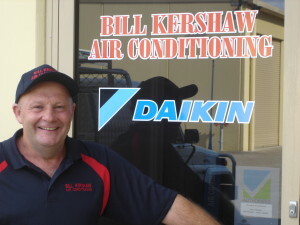 Bill Kershaw Air Conditioning has been installing the best machines, at the highest quality for over twenty five years. Servicing the Blue Mountains, Lithgow, Penrith and metropolitan areas during this time we have grown our reputation based on reliability, trust and honesty. We understand the harsh Australian climate and especially the areas that we live and work. With every change in climate comes special attention to detail in both choosing the correct product and the correct place to install your new air conditioner. You can be rest assured that you are dealing with a professional and reliable company. A family built and operated business that has always taken pride on our commitment to service and making you comfortable.